Orillia’s premier summer family event! Midway rides, games of chance, live music, beer pavilion, vendors and much, much more! 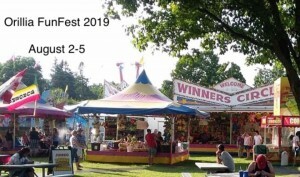 Hosted annually by the Orillia Lions and Rotary Clubs.